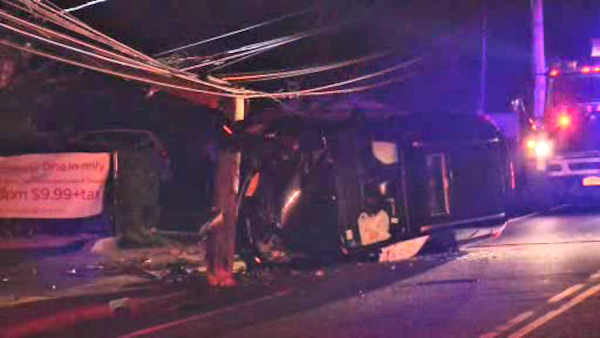 BOHEMIA, Long Island (WABC) -- Hundreds of people on Long Island lost power Tuesday morning after a violent accident in Suffolk County. A driver crashed her car into a power pole on Church Street at Lakeland Avenue in Bohemia. The crash knocked out power to people living in the area. More than 150 customers remained without power as of 5 a.m. The woman refused medical attention.